There are many people who love horses but are not comfortable riding. I will not turn you away because you don’t want to ride as there are many activities that you can do with horses from the ground like “Horse Agility” that develops a willing partnership which can last a lifetime! Ground work will help you to become more comfortable and develop the trust between you and your horse. It is something that you can have fun with as well as advance into riding or driving if you choose to. 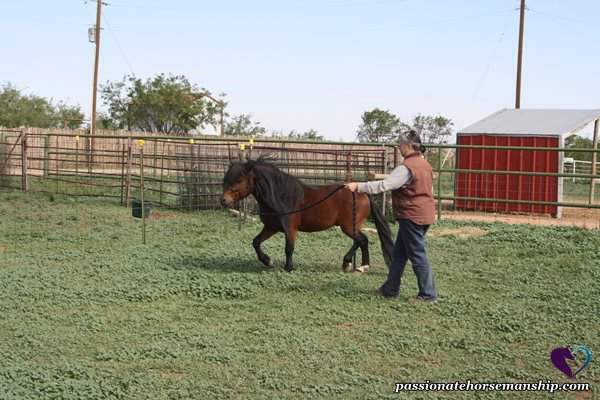 The program includes activities such as but not limited to: horse psychology, herd behavior, the horses natural language, basic ground work exercises, catching and haltering safely. 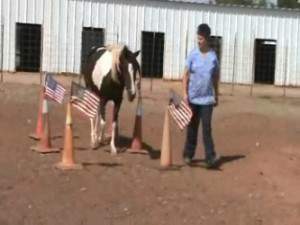 For those interested in ground work only you can advance to things such as working with the horse for – Horse Agility, Trail in Hand, Hunter in Hand, Driving on the Ground with long lines which you can use these techniques in the show ring should you decide to show your horse and Barn Care/Cleaning. Call us at 325-261-3360 or Email us today to reserve your lesson time!